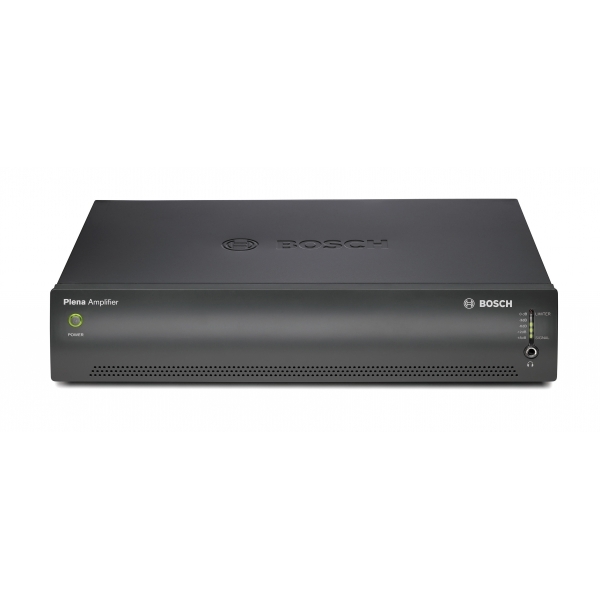 Bosch PLE-1P240 240W Power Amplifier is a high-power plug-and-play cost effective power amplifier that delivers 240 Watts to a constant voltage or 8 ohm load. Built with premium quality and protections, it offers a basic functionality at a budget price. 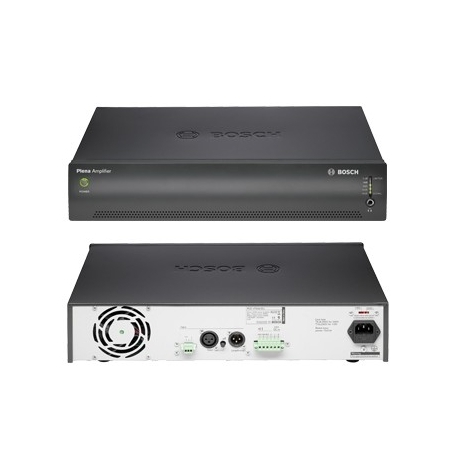 Suitable for commercial PA systems in schools, clubs, hotels and more. 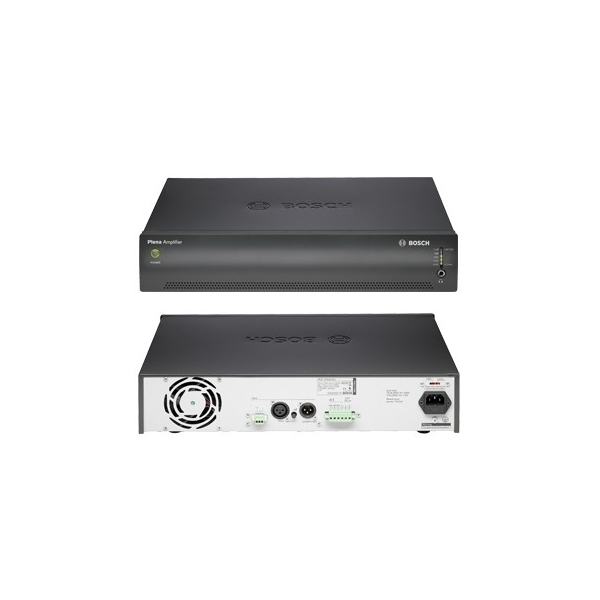 The PLE-1P240 240W Power Amplifier offers a straight 1 V and 100 V line in, and 70 V, 100 V and 8 ohms out. It can extend the power of the PLE- series mixer amplifiers or be combined with the PLE-10M2 mixer, or work anywhere where more power on an existing 100 V line is needed or when a line level signal is provided. The unit operates both on mains power and on a 24 V battery power supply for emergency back up, with automatic switchover. The amplifier also has a built-in charger to charge the connected battery. The system has a balanced input and loop-through facility. This makes it easy to connect multiple amplifiers. The secondary input is a 100 V line input to connect the amplifier to a 100 V loudspeaker line to provide more power in remote locations. Gain or level control is located on the rear of the unit to avoid accidental setting change. A meter with LED bar shows the output level. The amplifier has a 70 V or 100 V output for constant voltage loudspeaker systems, and a low impedance output for 8 ohm loudspeaker loads.